The new fourth-generation BMW X5 is a bit predictable. 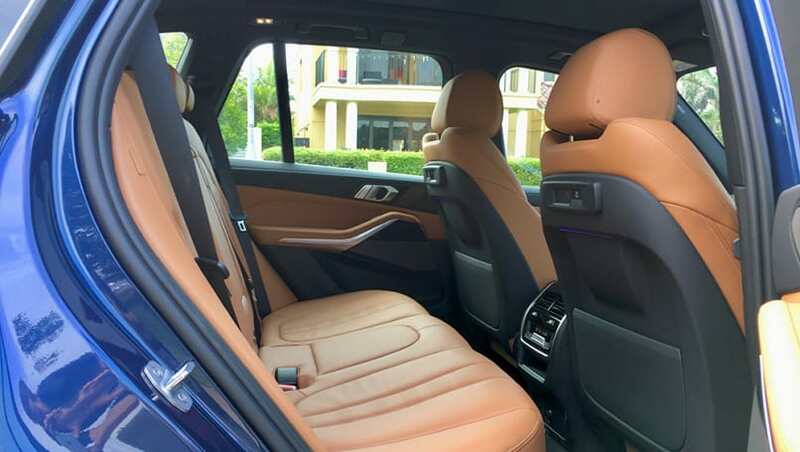 You guessed it - this new 2019 BMW X5 is bigger, has more technology, and has more of a focus on luxury than any version that has come before it. And of course BMW thinks it'll be a success story in Australia, because more than 55,000 X5s have been sold here since the original model launched in 2001. So what's the new one like? We've got the entry-level xDrive30d version here to find out. You won't confuse the BMW X5 for one of its rivals - this is no Mercedes-Benz GLE, Audi Q7 / Q8, or Lexus RX. But you might confuse it for one of its siblings - there's more than a passing resemblance between this new-gen X5 and the also-fairly-new-but-marginally-smaller X3 (which is now bigger than ever, too). I saw a couple of new X3 models during my week, to which I waved and then, shamefaced, realised they were actually people driving lesser BMW SUVs. Ahem. Back on topic, our 30d tester looked particularly plush, with the, er, sporty 'M Sport' package adding what is essentially a body kit to the lower edges of the car, including distinct front and rear bumpers as well as side skirts. There is a standard rear spoiler on all models, too. 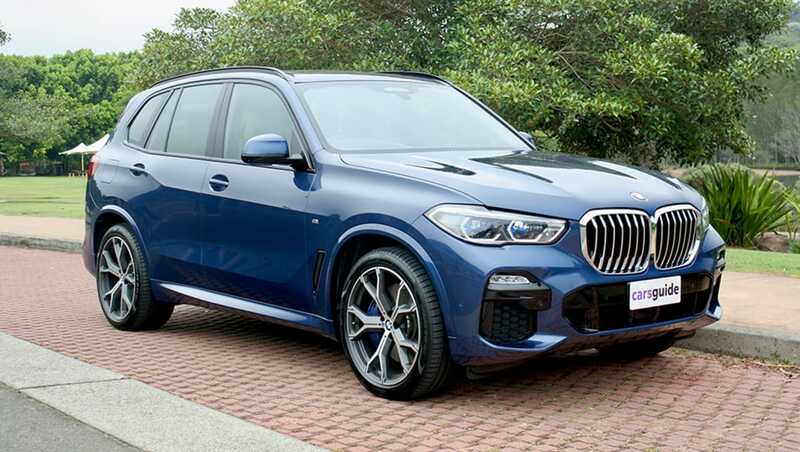 If that looks a bit too aggro for you, BMW also offers the 'xLine' pack (which has more off-road elements to it) or the 'Indulgence' luxury-look pack. I think the exterior design is some of BMW's most convincing work for a while, with plenty of recognisable cues when compared to X5s of generations past, but also enough contemporary styling - including those gorgeous cutaway tail-lights and that (arguably too large) kidney grille on the nose. The interior design is considerably better than we've seen in other BMWs recently, too - it's almost Audi-like in its interpretation. Check out the images to see what I mean. 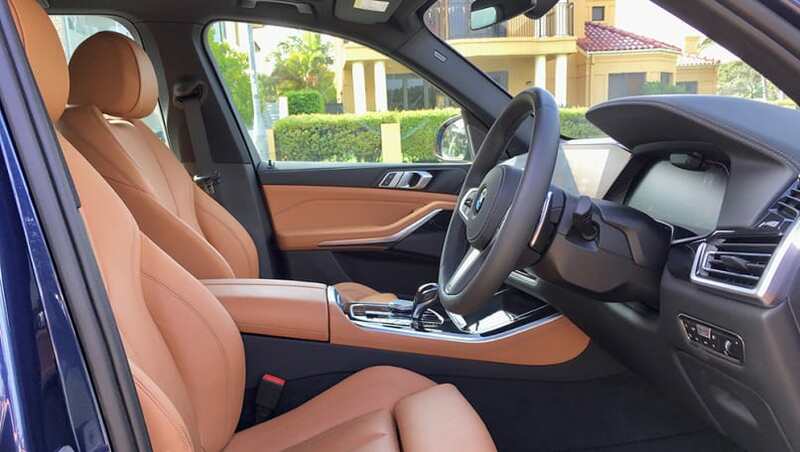 Finally, a BMW with an interior that keeps pace with the exterior. 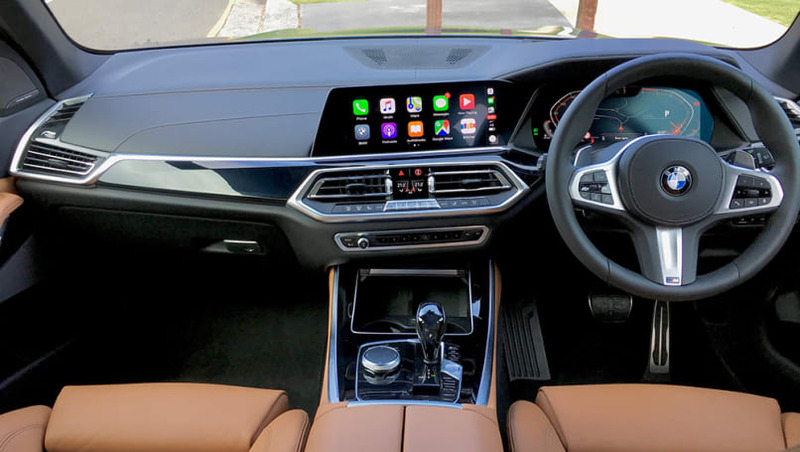 There's a 12.3-inch media screen with sat nav and you can control it using the rotary dial, using the screen by tapping and pinching, using voice commands or you can attempt to get the gesture control thing to work. I don't really bother much with that. It looks great and is backed by a mighty stereo system with 10 speakers as standard, and up to 20 if you want to option them. 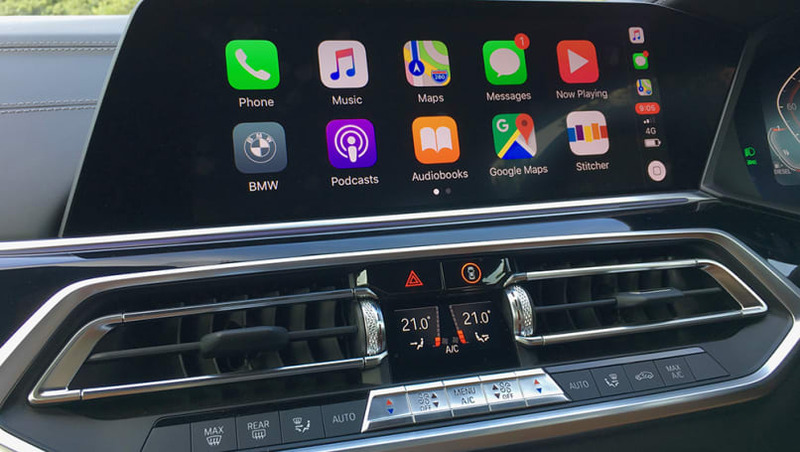 Apple CarPlay is standard, and it's wireless - it even works with my beat-up old iPhone 6, which is awesome. But there's no Android Auto at all. There's a big digital instrument cluster, too, and a smallish steering wheel with recognisable controls. You wouldn't expect BMW to forget anything when it comes to interior practicality, and there are big cupholders, decent storage nooks and bottle holders in the doors, too. And while the leather on the dash of our test car is lush, it'll cost you extra ($2700). Plus things like heated seats are on the options list, too. As for occupant space, adults will be able to sit behind other adults back here in comfort. With driver's seat is in my position, I had heaps of legroom and shoulder room, plus decent headroom - even with the big glass roof. The new model has a longer wheelbase, and it feels roomier than I recall the last model being. Three people my size will be able to sit next to each other reasonably comfortably, too. And of course there are dual ISOFIX child seat anchors and three top tethers as well. BMW has thought of all the things you might need, too, with cupholders and bottle holders, plus map pockets - or, maybe more correctly, iPad pockets, with USB-C chargers above. 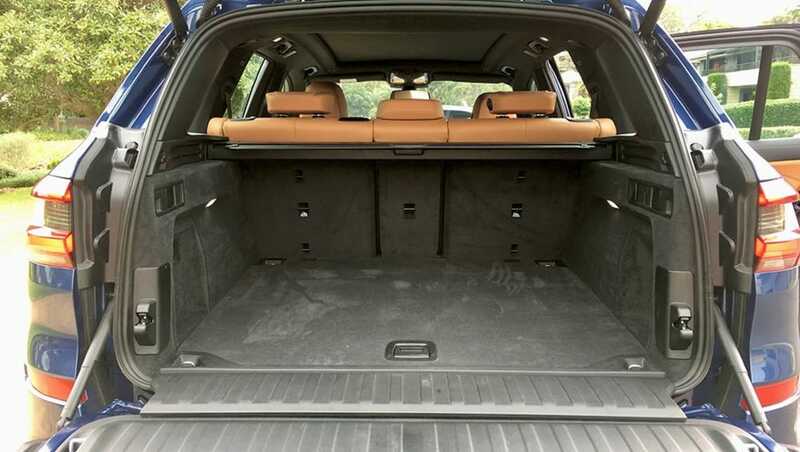 Now, if five seats isn't enough - or you can't stomach the look of the new X7 - you can get a set of extra seats in the boot. 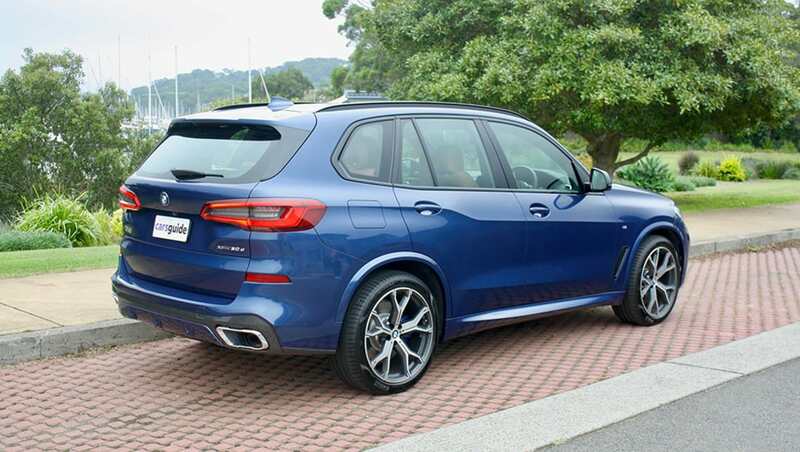 But sadly, if you want seven seats in your X5, you'll need to add $3700 to the price, and then you must add the 'Adaptive 2-axle' air suspension set-up at a further $3900, or $2300 if you have the M Sport model. That makes for either $7600 or $6000 for the M Sport. Yikes. What's most annoying is that you have to bundle the third-row seats, but you can get air suspension separately if you want it. 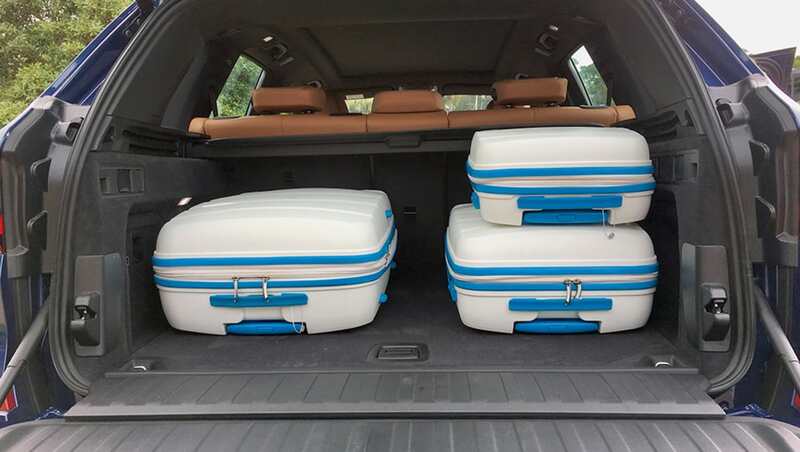 Boot space is generous at 650 litres, and if you fold those 40/20/40 split-fold seats down that almost triples, to 1870 litres. 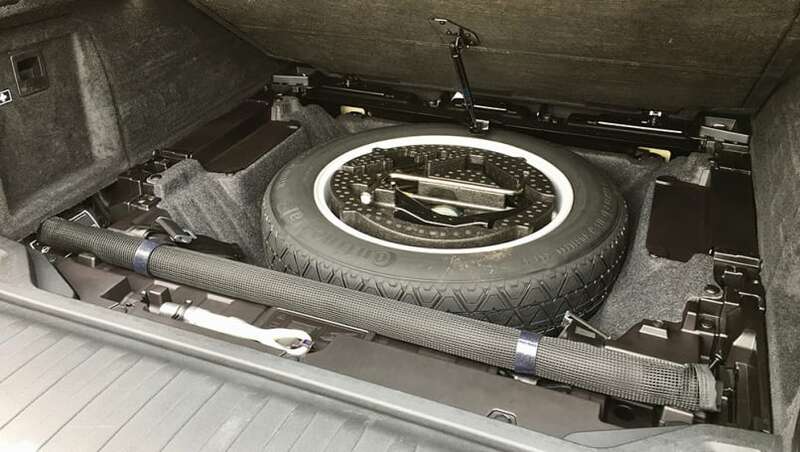 And even though it has run flat tyres, the X5 gets a space-saver spare wheel. 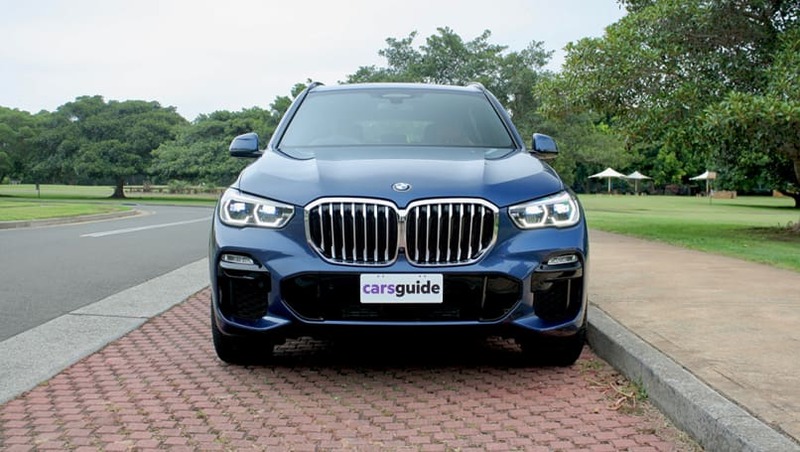 The base model in the X5 range at launch is the xDrive30d, which has the same price point as the previous generation version despite adding quite a bit more gear. 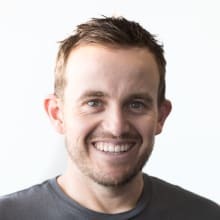 Eleven grand's worth, according to the company. 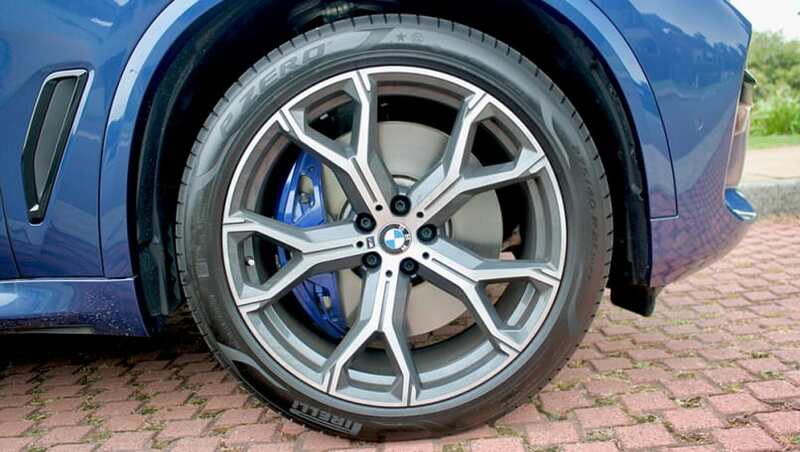 You'd usually be spending $112,900 (plus on-road costs) for a nicely equipped 30d model, but ours is optioned up to $124,590, with additions like 21-inch wheels ($2600), the M Sport pack ($4000), ‘BMW Laserlight' laser headlights ($2400 - standard-fit are LED headlights with LED daytime running lights) and stunning 'Phytonic Blue' metallic paint ($2000). Some of the standard niceties include roof rails, a panoramic sunroof, front and rear parking sensors, and a surround-view camera system. If the cameras and sensors aren't enough, there's a self parking system that will remember the last 50 metres you drove and reverse you out if you're tentative about it. Neat! 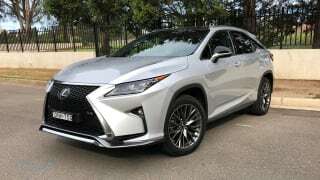 There are dual 12.3-inch media and driver info displays, Bluetooth phone and audio streaming, USB connectivity (plus three additional USB-C charge points), electric front seat adjustment, climate control (with separate rear temperature adjustment and vents), an electric tailgate, keyless entry and push-button start, and leather seat trim. See below for the full safety equipment breakdown. Under the bonnet of the 30d model is a twin-turbocharged 3.0-litre straight six-cylinder engine producing 195kW of power (at 4000rpm) and 620Nm of torque (from 2000-2500rpm). It has a standard-fit eight-speed automatic transmission with paddleshifters, and has permanent all-wheel drive. Those engine specs are strong, and it has a claimed 0-100km/h sprint time of just 6.5 seconds - faster than some hot hatches. 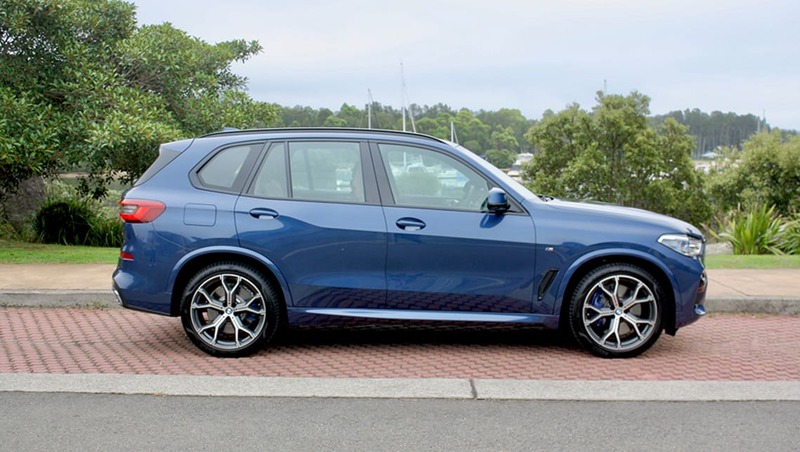 If you really want a silly fast SUV, you could spend extra and get the M50d with its quad-turbo drivetrain. Towing capacity is 750kg unbraked and 2700kg braked (1900kg for the xLine version), and the higher number is good, but still not best in class. 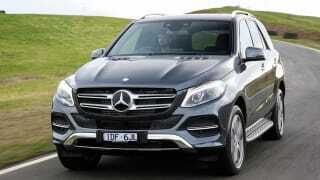 An Audi Q7 or Q8 will tow more (3500kg), if that matters to you. 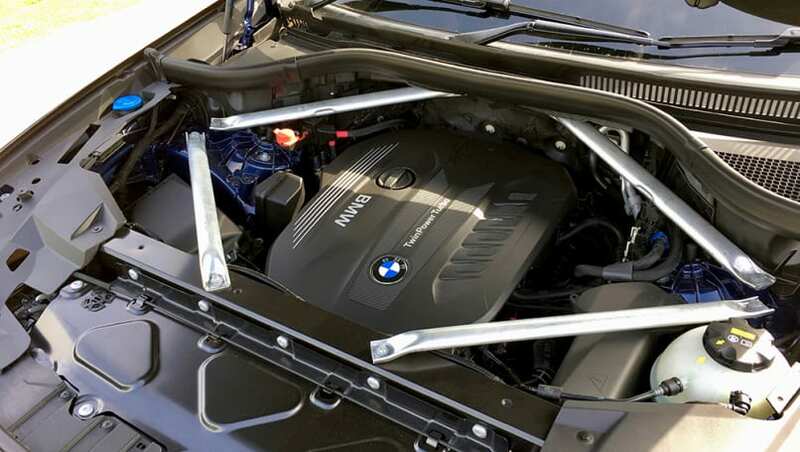 BMW Australia has confirmed an upgrade to towing will be offered from April production, up to 3270kg. The claimed fuel use for this version is 7.2 litres per 100km. On test, we saw a little higher than that, at around 10.6L/100km. Prepare yourself for an expensive trip to the servo when you eventually get there, as the diesel fuel tank capacity is 80 litres. While the claimed use is better than many others, the X5 oddly doesn't come with any form of mild-hybridisation as other SUVs in the class do. It does have a diesel particulate filter and requires AdBlue, though. The last BMW X5 was sporty to drive, but the steering was a bit hard to get used to, and the ride could be pretty punishing on bad roads. This new-generation model has improved on both counts, with steering that is light and direct without being too hefty or trying to offer the ultimate sports-car-on-stilts experience, and adjustable dampers on all models that allow you to choose what you want the drive to be - comfortable (choose Comfort) or sporty (you guessed it, choose Sport). It still has run-flat tyres, though, so the ride is a little rigid - particularly over sharper edges in urban settings. And even putting it in Comfort mode didn't dissipate that sensation - in fact, I think it made it a little worse, because it was very softly damped but still thumped into bumps. Sport mode is too hard in town, but great on a windy road. My choice for the week was Adaptive mode, which chooses the most appropriate settings for how you're driving it. Of course, those modes also affect throttle response, though the big six-cylinder diesel engine is strong and solid no matter the mode. Its roll-on acceleration is exceptional, but there is a bit of low-rev lag when you take off from a standstill. But once you're moving, the transmission is smooth and clever, the engine revving without any diesel clatter and hardly any vibration through the cabin. It's really nicely refined, and very quiet, too. Effortless is the word that comes to mind. Oh, and it's quicker than a car weighing 2110kg (kerb weight) really ought to be - arguably faster than you'll ever need to be on the way to drop the kids at school. The new-generation BMW X5 has a strong standard safety game - and it has the maximum five-star ANCAP safety rating, as per 2018 testing. Fitted across all grades is AEB that works at high and low speeds, pedestrian and cyclist detection, forward collision warning, lane keep assist, lane departure warning, blind spot monitoring, rear cross-traffic alert and electronic brake force distribution. There's a reversing camera and surround view camera (360 degree camera) with virtual reality display to help you visualise your car from the outside, and there are front and rear parking sensors. There's a semi-autonomous parking system that can do the hard work for you, and it'll even reverse you out of a tight spot if you're tentative about it, because it can remember the last 50 metres driven. There are seven airbags (dual front, front side, driver's knee and full-length curtain), dual ISOFIX child seat anchor points (and three top-tether attachments for a baby car seat), and the usual electronic nannies like electronic stability control (ESC, ESP or DSC) with hill descent control, speed sign recognition, plus a warning triangle. The mainstream brands might be moving to longer warranty plans, but BMW's - along with the other German luxury brands - remains set at three years/unlimited kilometres. That includes roadside assist, too. The servicing is condition-based - so, your car will tell you when its time for some maintenance. And you can pre-pay for servicing, with the base version of that plan costing a reasonable $1995 for five years/80,000km. That covers the basics, and you'll need to visit the dealer every 12 months/24,000km. 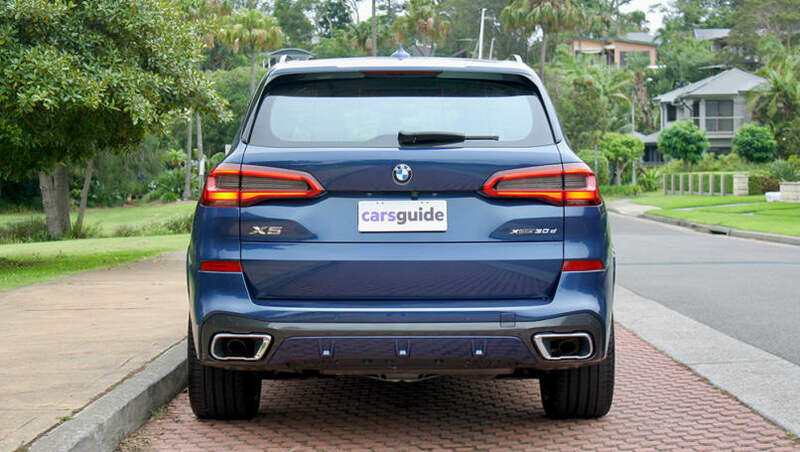 I said at the start of this review that the new X5 is predictable… but it's more like predictably impressive. There's a lot to like in the fourth-generation X5. You may still want to option a few extras over the standard base model car, but the 30d model embodies the idea of a luxury, tech-heavy family SUV beautifully. 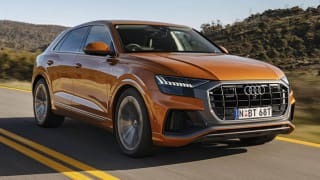 The Audi Q8 isn't cut from the same swoopy cloth as its direct rivals - the BMW X6 and Mercedes GLE Coupe - but that's a good thing. Because on first impressions, it's better than both of those cars. Yes, SUVs are the new normal when it comes to Australian family transport, and that doesn't change as you head further up the price and prestige scale. Paul Gover road tests and reviews the Mercedes-Benz GLE and GLE Coupe with specs, fuel consumption and verdict at its Australian launch.